This year I set a goal to read 50 books. To some that sounds like a lot and others not enough but clearly it was just the right amount for me because I now have just one book left to read in order to meet my goal. 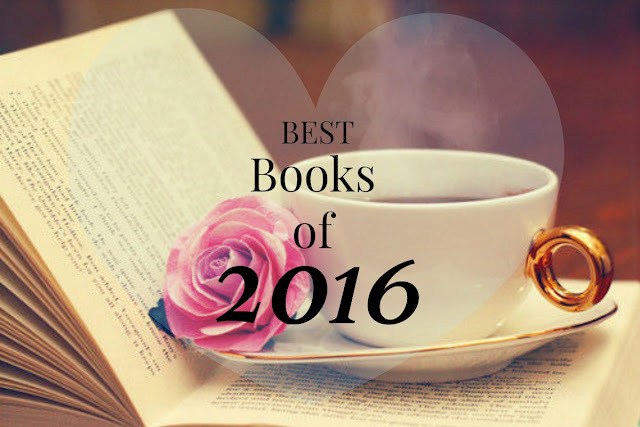 I've read some great, good, and ok books this year and so when I saw that Jana and Steph were doing a "Best of 2016" book link up I knew I had to participate. I've been linking up with them for their "Show Us Your Books" link up for the last few months and it's been one of my favorites from 2016. 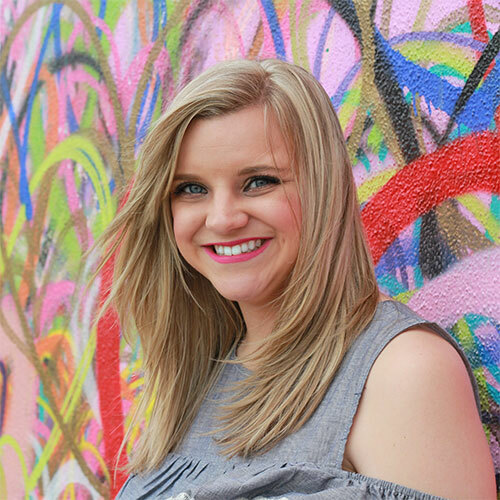 I've gotten some great recommendations from their link up and I'm excited to keep it going in 2017. 1. Made me laugh out loud while I was reading it. 2. Made me cry. And I mean like ugly cry. 3. I kept thinking about the book days or weeks after I was done. 4. I recommended it to someone more than once. Thankfully there were 7 books (probably more if I put a little more thought into it) who did just that. Me Before You: When I read this book I laughed, I ugly cried, and I thought long and hard about what I would do if I had been in Will's position and then I ugly cried some more. I loved this book. And even thoroughly enjoyed the movie too. And I can totally see myself re-reading sometime in the future. Lilac Girls and The Nightingale: These two books were my favorite historical fiction books of 2016. They both were amazing. Once again I ugly cried while reading both of them and couldn't stop thinking about them after I was done. WWII historical fiction is probably my favorite genre and I cannot say enough things about these two books. Especially The Nightingale. Just trust me and add it to your TBR for 2017 if you haven't already read it! A Gathering of Shadows: This was another book I finished during this month and have yet to properly review. It's the sequel to A Darker Shade of Magic. The sequel was so much better than the first book, in my opinion. It took me a while to really get into the first book but I could not put down the second one. Thus why it made the list. It had so many great parts and new characters that I am now eagerly awaiting book number three! Come on 2017!! 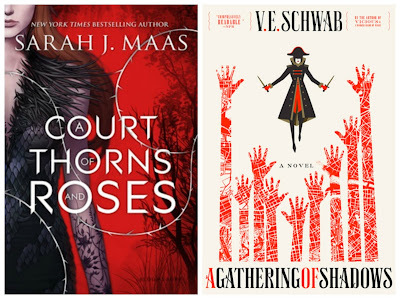 A Court of Thorns and Roses AND A Court of Mist and Fury: LOVED THEM. Like that's all there is too it. This was my second favorite of the year and all I can say is that you haven't discovered the greatness that is Sarah J Maas you are missing out on life. I am dying for third book in this particular series which is out in May I believe. Throne of Glass Series: Y'all, I read every single book in this series this year and it was by far my favorite. The story, the characters, the magic, the whole world is amazing. I had honestly forgotten that I had only just read each book in the series this year because it feels like I've been reading them for years. There are currently 5 in the series (6 if you could the prequel) and they are everything. I found out about them through the book club I'm part of with some other teachers from school and we could literally talk about them for hours. Best part is they are turing the series into a TV show. The whole series is slated to be covered and I could not be more excited!! Well there ya have it. My best book of 2016. I had a great year of reading and I am so excited to see what books I get through in 2017. Fingers crossed it's a great reading year! 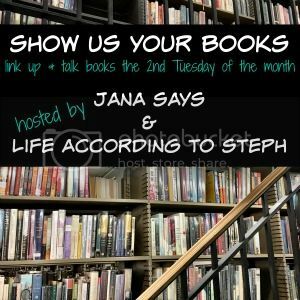 Linking up with Jana and Steph for the last time in 2016! So our favorite books of 2016 are pretty much the exact same, which is one of the reasons why we're friends! 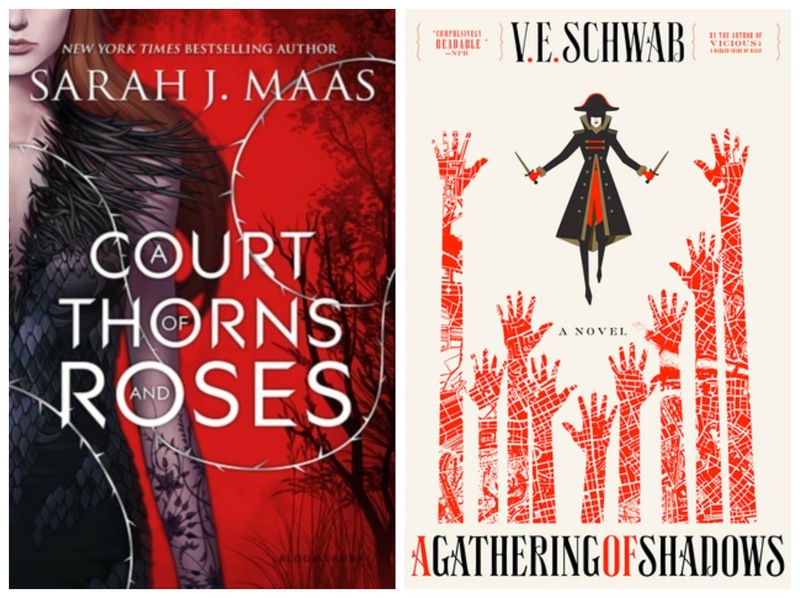 I think that the only books I haven't read yet that are on your list are the Court of Thorns and Roses and A Gathering of Shadows. You've talked about how good they are and I can't wait to break into them! And yes to Throne of Glass! I loved the first book, and I can't wait to read more in the series! This was definitely a better year of reading for me, but nowhere near you with 50 books! I have so many added onto my list that I've saving for after I finish the reading challenge I'm doing. The Nightingale is luckily one of them in the challenge and I cannot wait to read it! Fangirl is my favorite Rowell book! It's one of those where I enjoyed it so much that I wish I could read it again and get that experience again. I adored Me Before You, happy to see that here! I love books that are so good you are literally holding your eyes open to try and finish them! 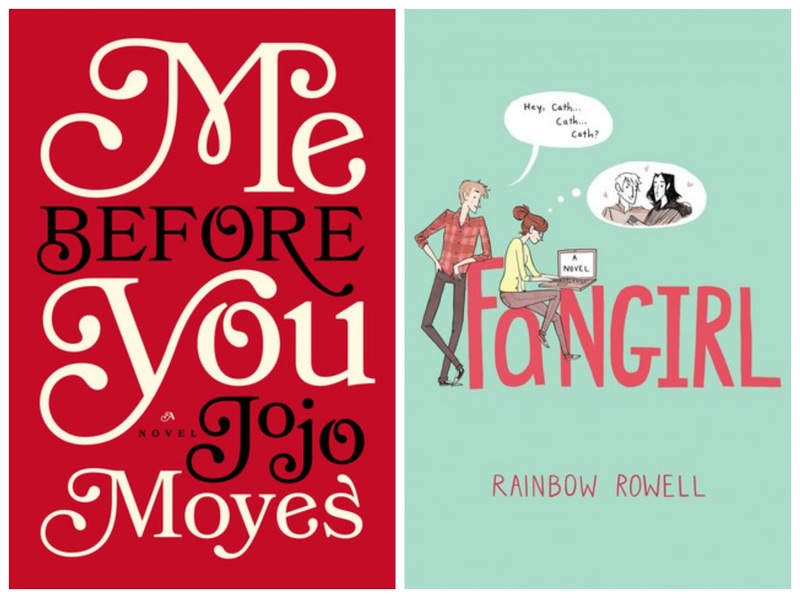 I haven't read Fangirl, but I did enjoy the other Rowell book I've read so I'll have to check it out! good job on your goal girl! that's awesome. i like your criteria for a book to make it on your list. i really liked fangirl, but i didn't LOVE it. i didn't like the fanfic part. but the rest of the story, i did. i really enjoyed lilac girls, but i LOVED the nightingale. absolutely tore my heart out and i felt like i just read it - but i read it in 2015. that's a good book! i'm so happy you loved the throne of glass series! can't wait for the last book, and of course the tv show sounds awesome! So many people have Fangirl on their list! I'm pretty sure I have it on my Kindle somewhere and need to read it ASAP! I thought Lilac Girls was so good! Me Before You was amazing. Fangirl is not my favorite Rowell book but if you take out all the fanfic, I liked it a lot more than I generally let on. I ugly cried during The Nightingale too. 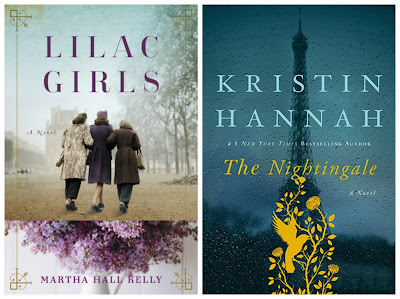 The Lilac Girls is on my TBR but I'm still hurting from The Nightingale but I will likely read it in 2017. It hurts me to say this but I couldn't get into the Throne of Glass series and really expected to love it. Boo! I love a lot of these books too!!! I loved Me Before You, Lilac Girls and The Nightingale! I've heard good things about A Court of Thorns and Roses. The ending of The Nightingale really punched me in the gut. I'm just about to finish up Me After You, have you read that one? I'd be happy to drop it in the mail for you, if you'd like to have it to read? It's just as good and really keeps you wanting more. I haven't read any of her other books but I might pick one up.